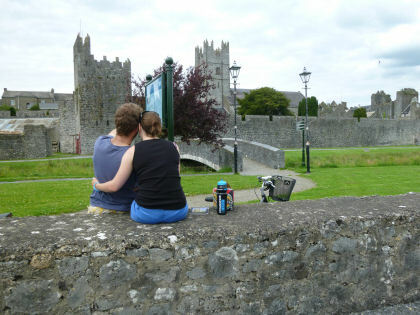 FETHARD WALLED TOWN , Co. Tipperary, Ireland….’where the past is still present’. 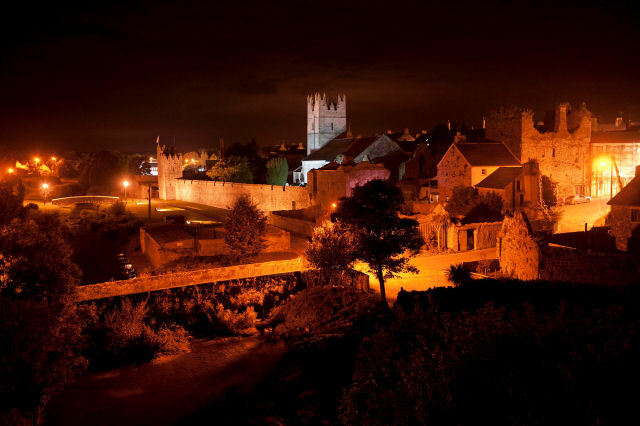 Backs to the Wall Tours – is a tour guiding service to the walled town of Fethard , for visiting groups – being provided by the Fethard Historical Society . If you want to see the finest example of a medieval walled town in Ireland then you have to come to Fethard in the shadow of famed Slievenamon mountain. The town itself was planned and built by the incoming Anglo-Normans in the years around 1200 AD and ‘their town’ is still there… the town wall that they built ,their church,the gateway to the north and what is more amazing is that these buildings are still in use to the present day. But , it is when you come on a guided tour of Fethard with a ‘Backs to the Wall’ guide that you will get a real feel for this 800 year old town, its history, its people and the characters who passed this way. You will hear the stories of the ‘great’ Fethard families ; the Everards,the Butlers,the Bartons , but also the stories of the descendants of the Gaelic Irish families (McCarthy, Phelan, O’Brien…) and the Anglo– Norman families (Purcell, Cantwell, Roche…) who still live here. Of course – after eight hundred years of mixing and intermarriage – they are all now just one big Fethard family. Then there are the stories of the rare Medieval Statues , the Sheela na Gigs, the Captain Kellett White House desk, the ‘Jolly’ love story (and it was a jolly love story) and the list goes on,,,you’ll have to see and hear it for yourself. So, whether you are on a school tour, a social outing , a historic visit or you just happen to be in the area then a Backs to the Wall guided tour will gently introduce you to a truly unique place. 2018, a new year and The Fethard Historical Society get involved. The colours are truly wonderful now. The countryside around Fethard is almost perfect this time of year and 2016 is favouring us with sunny dry weather- perfect Autumn outdoor weather. So,get out there !